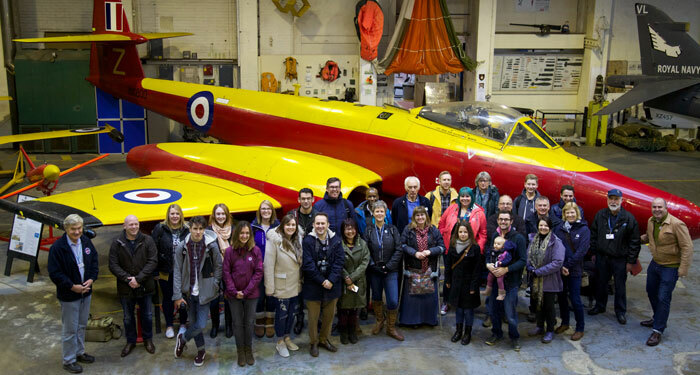 The 2017 Annual General Meeting was held at 1300 on 21 October 2017 at the Boscombe Down Aircraft Collection, Hangar 1 South, Old Sarum Airfield, Old Sarum, Salisbury SP4 6DZ. A copy of the Chairman's Report to the 2017 Annual General Meeting can be found here. Terry Smith - Secretary of Air-Britain (Historians) Ltd in the 1970s, initiator of Air-Britain Travel, member of the Monographs Committee and then of the Books Publishing Committee (these jointly for over 40 years), compiler for several years of the world-embracing Airline Fleets Quick Reference as well as of the most recent editions of Jet Airliners of the World and Turboprop Airliners of the World. Derek King - for many years of research and authorship of many articles and books, mainly covering post war British Transports.